Appearance: Golden with a bit of froth at the top, not much in the way of head. Nose: Subdued. Some malt and hops with a touch of tropical fruit. On the palate: Full bodied and hoppy. On first sip tastes like an IPA but then shifts into a mildly fruity wheat flavor. Finish: The bitterness and the fruit fade into a lingering soapy taste. 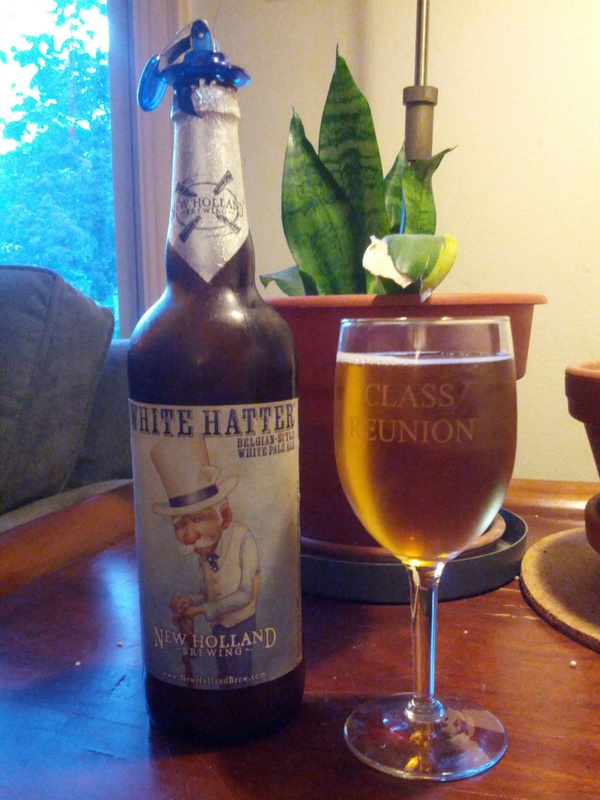 Parting words: I’ve been a fan of New Holland for quite some time and a search of the archives will reveal numerous positive reviews of their beers and spirits. I just can’t do it with this one. It’s a part of their vintage series of riffs on their very successful Mad Hatter IPA. I have enjoyed all I have had until this one. It could be spoiled, but one would expect a beer that is vintage dated (and kept in a fridge) to be capable of aging for at least a year with positive results. At any rate, it pains me to say this, but White Hatter is not recommended.